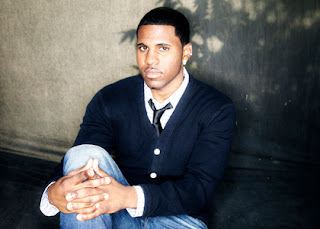 Multi-Platinum singer-songwriter Jason Derulo will embark upon his biggest ever UK tour when he returns to the UK in February 2012. The eight-date arena tour will include his largest London show to date when he plays Wembley Arena on March 1st. Both ‘Don’t Wanna Go Home’ and ‘It Girl’ feature on ‘Future History’ which represents a definitive progression in Jason Derulo’s sound with greater eclectism than ever before with the production expertise of The Fliptones, J.R. Rotem, Frank E, The Dream and Eman. "On this album I just wanted to be me," explains Derulo, who wrote all of the songs on the album either by himself or in collaboration with top names like Kara Dioguardi, The Dream and Claude Kelly. The new batch of songs reflects a newfound maturity in Derulo's personality as well as the music that he's eager to share with his fans. "I was 19 before and now I'm 21 and I've really kind of found myself," he says. "So you can hear a whole new person, a new being almost." Jason Derulo is now established as one of the world’s biggest pop stars having sold 17 million singles globally (1.8 million of which were in the UK) and a million copies of his debut album. His YouTube channel has received over 400 million streams which places it in the Top 100 All-Time Most Viewed Channels, and he had over 100,000 plays on UK radio in 2010, making him the 9th most played artist of the year. In addition, he has over 6 million fans on Facebook.